Aerografo IWATA HIGH PERFORMANCE HP-SB PLUS 02 aerografi Iwata High Performance aerografi iwata aerografi AEROGRAFIA - Belles Arts Ferran, S.L. 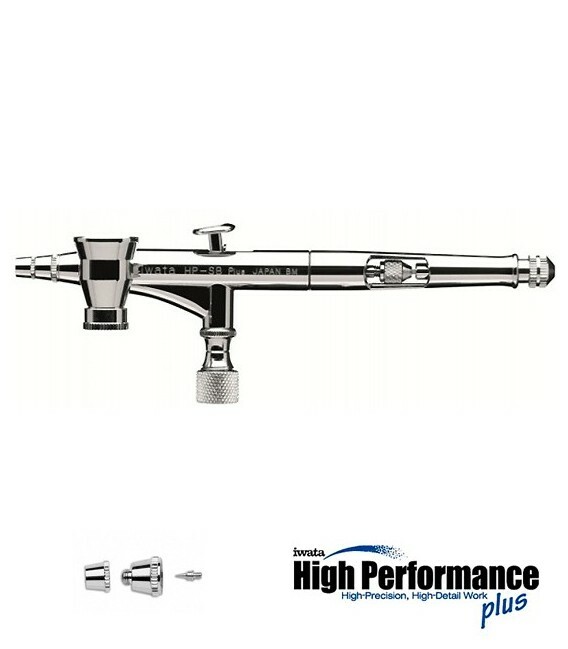 The HP-SBP, is a practical choice for most airbrush uses. Renowned as the professional's workhorse, this popular High Performance Series brush has been pumped up with inspired new features that include dual-purpose, cutaway ands pre-set handle for easy clean up and precise control of paint flow; Teflon? 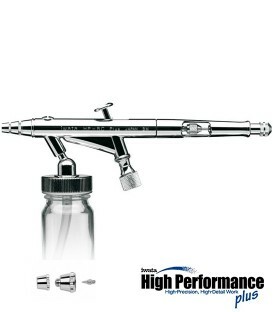 needle packing for automotive or other solvent-based paints; larger threads on the nozzle that offer a more secure fit and better centering of the nozzle; redesigned tapered gravity-feed cups that ensure easy clean up and more efficient paint flow; and a single-piece auxiliary lever/needle-chucking guide that provides easy assembly.